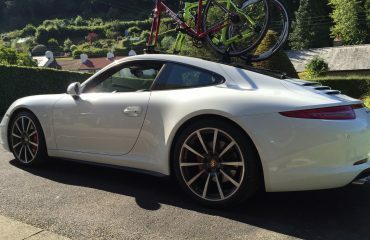 Our customer Chris recently purchased his Porsche Carrera GTS. 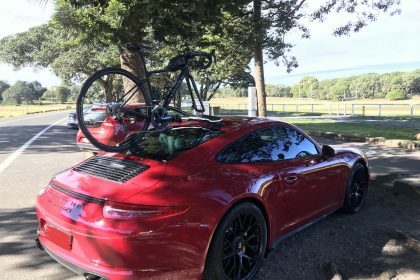 As a result, he was looking for a Porsche Carrera GTS Bike Rack. Hence he contacted us to identify a suitable SeaSucker Bike Rack. With 6 years experience installing SeaSucker Bike Racks we provided our advice. 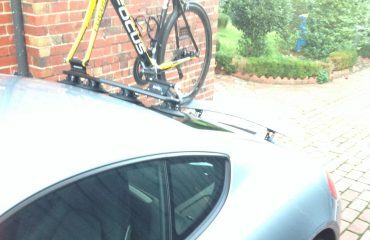 The challenge with a Porsche Carrera GTS Bike Rack is the wafer-thin roof line. The roof-line thickness is designed to reduce weight. Subsequently, we recommended the SeaSucker Mini Bomer 2-Bike Rack. Whilst Chris’s needs were to transport one bike the SeaSucker Mini Bomber provides a great platform to spread the load. We also suggested using the roof to tailgate mounting location as shown in the photos. Next, we discussed Chris’s bikes he wants to transport. As Chris owns several road bikes with disc brake front wheels we recommended replacing the standard SeaSucker Mini Bomber Quick-Release Fork Mounts with 12 mm x 100 mm Through-Axle Fork Mounts. 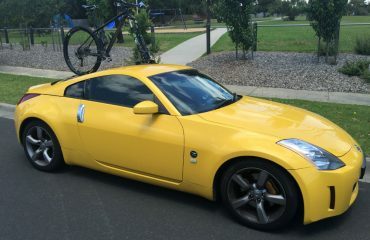 A few weeks later Chris sent us these photos pleased with his Bike Rack. After several short and long drives, the SeaSucker Mini Bomber performed flawlessly. We also included Chris’s Porsche Carrera GTS on our Mini Bomber – Sedan & Sports Cars Installs as an example of a roof/tailgate set up. 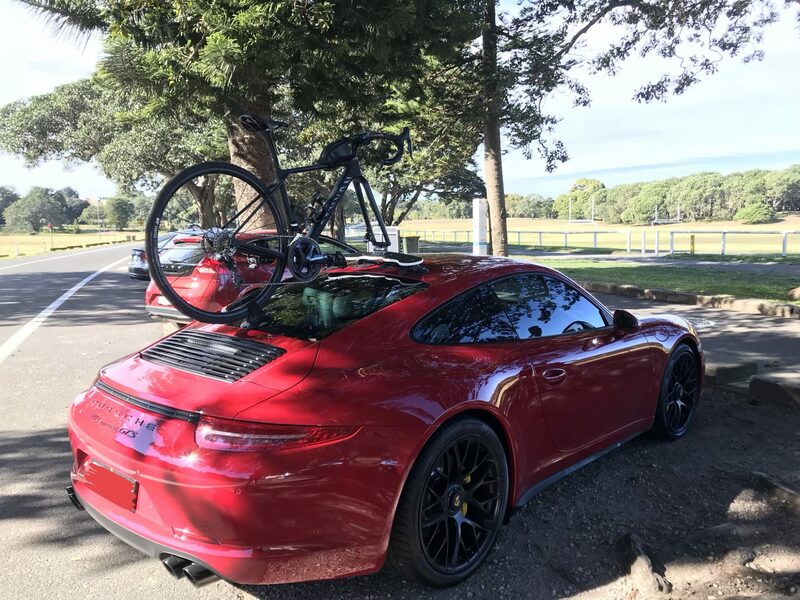 Looking for a bike rack for your Porsche Carrera GTS? Please consider the SeaSucker Mini Bomber, available through our online store.